Don’t miss out on this great home. 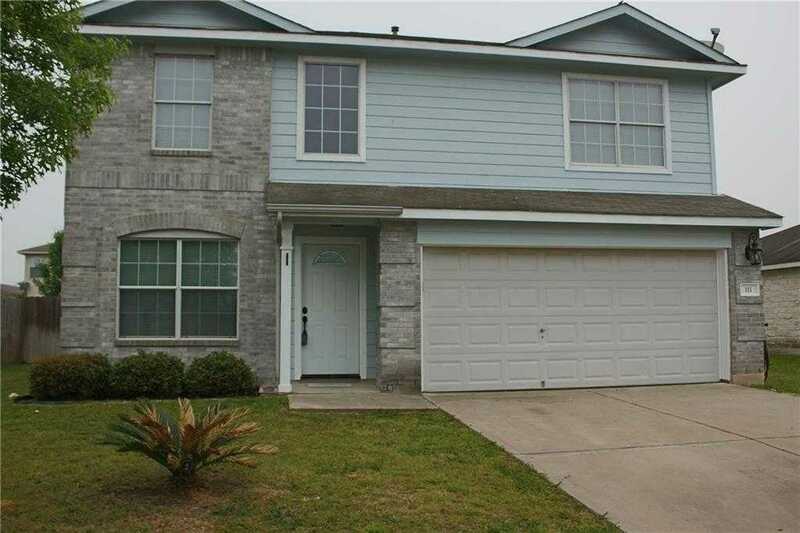 Located in Hunters Crossing with granite counters, open floor plan, and fenced yard. The main floor has also has a formal dining room or you could make it an office plus a half bath. All bedrooms are located upstairs with an additional 2 bathrooms. Master suite features garden tub, double vanity, and walk in closet. All rooms are spacious with ample closet space. Home is located within close proximity to shopping and employees and easy commute to Austin or Houston. I would like to schedule a private showing for this property: MLS# 6102710 – $1,650 – 111 Outfitter Dr, Bastrop, TX 78602.